Are you ready to head on down to Minnesota Orchestra Hall? With up to 21 accommodation options within a short stroll of Minnesota Orchestra Hall, you are guaranteed to find a place with all the features and amenities that you require. 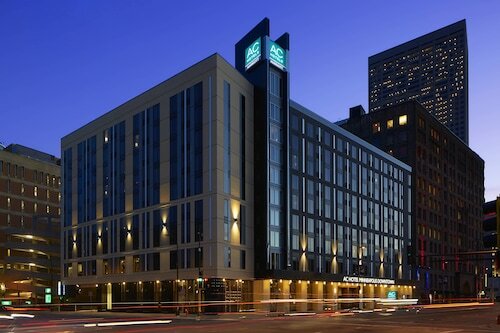 The Hotel Ivy, a Luxury Collection Hotel, Minneapolis, Residence Inn By Marriott Minneapolis Downtown and Loews Minneapolis Hotel offer a wide variety of choices. You don't have to travel too far to discover a budget-friendly place to throw your bag down. There are a handful of solutions within easy commuting distance. Make inquiries at the Days Inn Hotel on University and the University Inn. If you're the kind of traveler that appreciates a break from a full schedule, laying your head down at one of the various renowned hotels here will refresh your fading energy levels. 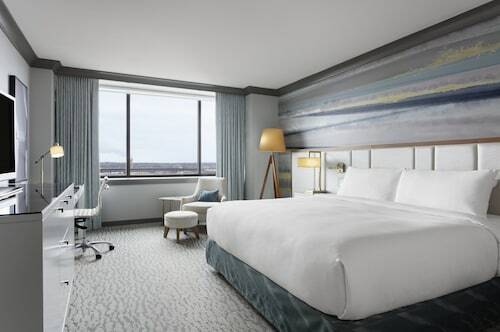 Two excellent choices are the Radisson Blu Minneapolis Downtown, located only 0.3 miles (0.5 kilometers) away, or the Kimpton Grand Hotel Minneapolis, 0.4 miles (0.6 kilometers) away. It doesn't matter if it's a perfectly made coffee or a yummy slice of cake, you're sure to find something to please your taste buds at Caribou Coffee & Einstein Bros. Bagels (1100 Nicollet Mall, Minneapolis). 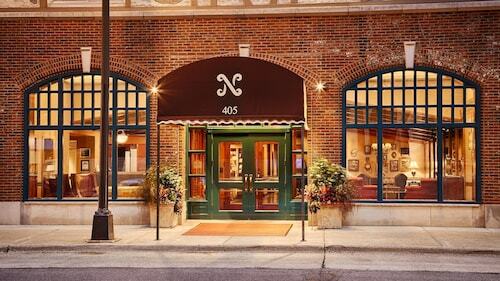 When you start thinking about dinner, make a booking at 1110 Nicollet Mall, Minneapolis (1110 Nicollet Mall, Minneapolis), just 0.07 miles (0.11 kilometers) away. You'll have lots of fun finding presents for family and friends, as well as a few well-deserved treats for yourself, at 1221 Nicolette Mall Shopping Center. Wrangle the whole family together for a picture next to Foshay Tower, a famous building in the area. 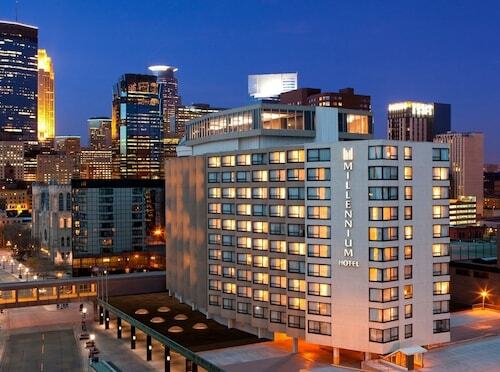 Minneapolis Convention Center has all the required services required for a successful event. Feast your eyes on IDS Center. You're able to see this grand local skyscraper from a number of vantage points around town. Dive into the local arts scene when you see one of the performances at Orpheum Theatre. If you're looking for a convenient way to get to Minnesota Orchestra Hall, just climb aboard the metro until you get to Target Field Station, the station that is only 0.7 miles (1.1 kilometer) from your destination. How Much is a Hotel Room in Minnesota Orchestra Hall? Hotels in Minnesota Orchestra Hall start at $89 per night. Prices and availability subject to change. Additional terms may apply.